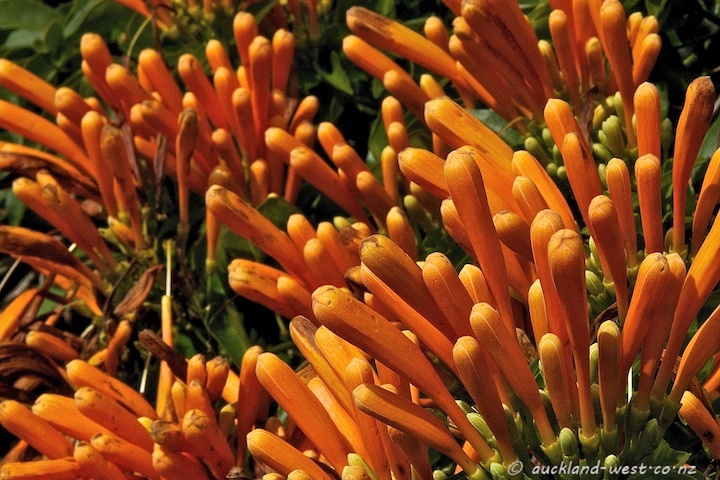 Pyrostegia venusta, or flame vine, brings bright orange into our winter. Originally from Brazil, this plant seems to be classed a weed in some parts, but I don’t think this is the case in NZ. This is a fence along Mount Albert Road.